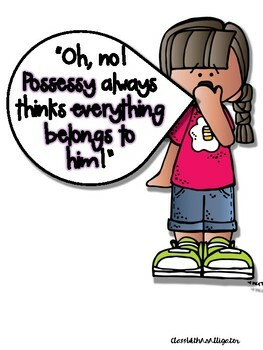 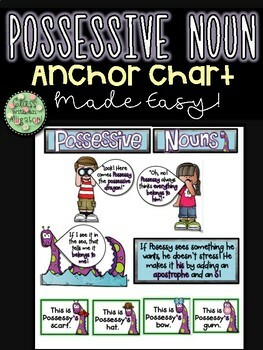 This product includes everything you need to create an anchor chart for teaching possessive nouns. 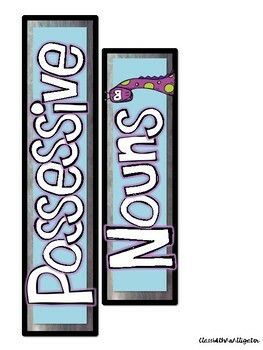 This gives students an easy and fun visual to help remember what possessive nouns are through the story of Possessy the possessive dragon who thinks everything he finds at sea belongs to him. 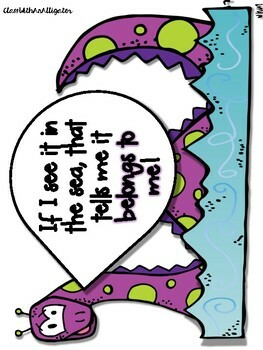 See cover page image.